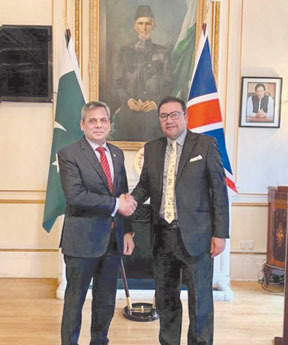 LONDON: Chair of All Party Parliamentary Group on China Pakistan Economic Corridor (CPEC) and Belt and Road Initiative (BRI) at the British Parliament and Member of Parliament Faisal Rashid called on Pakistan High Commissioner, Mohammad Nafees Zakaria at the High Commission on Tuesday. 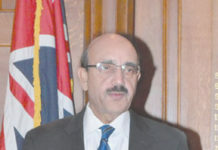 The High Commissioner briefed Mr. Rashid about the business avenues in Pakistan and niche markets for foreign investment. 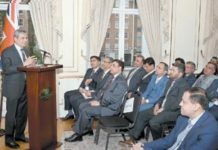 He highlighted the opportunities that were available in Pakistan for the UK to benefit from. In this context, particular emphasis was made on the special economic zones for setting up industrial and manufacturing units to boost trade. 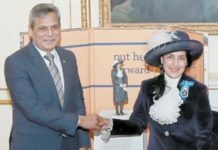 Both sides underscored the importance of strengthening commercial ties to realise the true economic potential between the two countries. “CPEC is vital projects which offer new venues of profitable projects and financial cooperation beneficial to all partners”, Nafees Zakaria told him while briefing about these projects.